I visited the US, DR Congo, and Belgium in order to gather information about bonobo research and caretaking in preparation for the upcoming project of introducing bonobos into Japan. In the US, I visited Prof. de Waal's lab in Emory University and Dr. Hare's lab in Duke University, and exchanged information and opinions. In DR Congo, I observed both captive and wild bonobos. In Lola Ya Bonobo Sanctuary, I learned how to take care of and conduct research with captive bonobos. 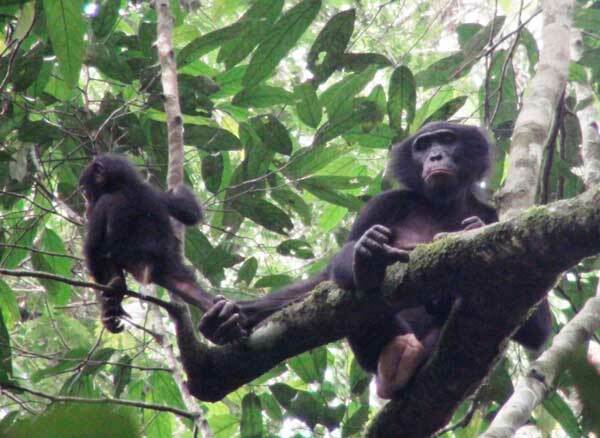 In Wamba Forest, I observed the wild life of bonobos. 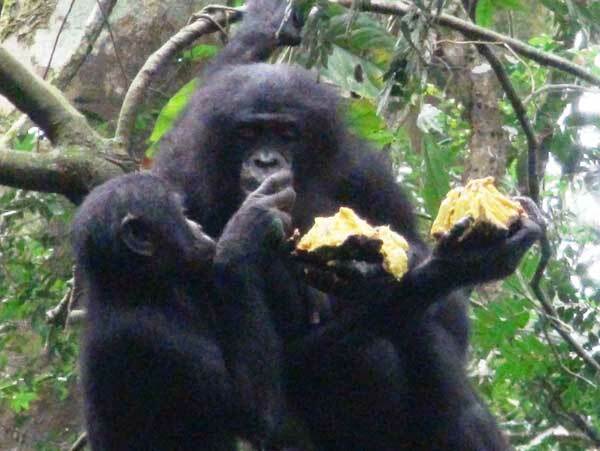 The main topics are social interaction (food sharing and mother-infant relationship) and material culture (tool use) in bonobos. I have been studying chimpanzees in these topics, and it has been suggested that bonobos and chimpanzees differ in these behaviors. I will investigate the similarity and difference between these two species with the cumulating knowledge on chimpanzees and the data on bonobos newly collected in this research travel.